Suva, Fiji — How can finance be a tool for social change? Fifteen women’s rights leaders wrestled with this question on a floating restaurant outside of Fiji’s capital city. The women were considering one specific issue, domestic violence in the Pacific. How and when can the capital markets, the practices of making investments, and financial analytics be used as tools to create positive social change? Domestic violence is pervasive in the Pacific, with surveys showing that the incidence of violence against women in the Pacific is the worst in the world. More than 60 per cent of women and girls have experienced violence at the hand of an intimate partner or family member. A firm based in Papua New Guinea participating in a survey by the UK’s Overseas Development Institute indicated that an estimated 26,200 days per year were lost as a result of domestic violence. Other firms indicated that the cost of staff time lost due to gender-based violence represented up to 9% of their salaries bill. 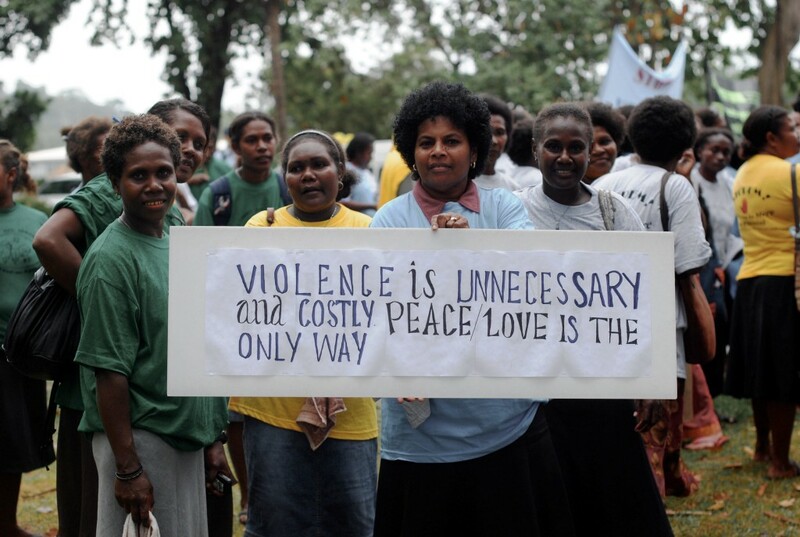 In Fiji, preliminary estimates of costs of violence against women in 2011 was estimated at 6.6% of the nation’s GDP. How do we inform investors that this chronic issue presents material risks to them and their work? We need to help them understand that is not a sideline social issue, relegated to development grants and the work of NGOs. Bringing a gender analysis into investments in the region allows investors to understand and navigate this risk more effectively. I had the privilege to facilitate the training and design session this summer, with Kate Wilson, a gender specialist with Pacific RISE, an Australian-government funded program supporting the development of an impact investment market in the Pacific Islands. Criterion Institute is a leading think tank focused on using finance as a tool for social change. Pacific RISE has been equipping impact investing intermediaries with knowledge of the Pacific and of how the gender patterns in the region could inform risks and opportunities. The project also supports organizations with a deep knowledge and understanding of gender in the Pacific to be able to engage the logic, the tools, and the language of finance. Participants arrived… some were curious, many skeptical. “What I’m looking for in this meeting is a new initiative and other ways of advocating for gender and human rights,” said Ruth D’ovo, of the Vanuatu Council of Churches, summing up why most participants came into the room. The program served as a design session focused on how to use investments to reduce violence against women. The training program was tailored specifically for this audience using Criterion’s TOOLKIT program and its framework for integrating gender analysis into financial processes, structures and analysis. 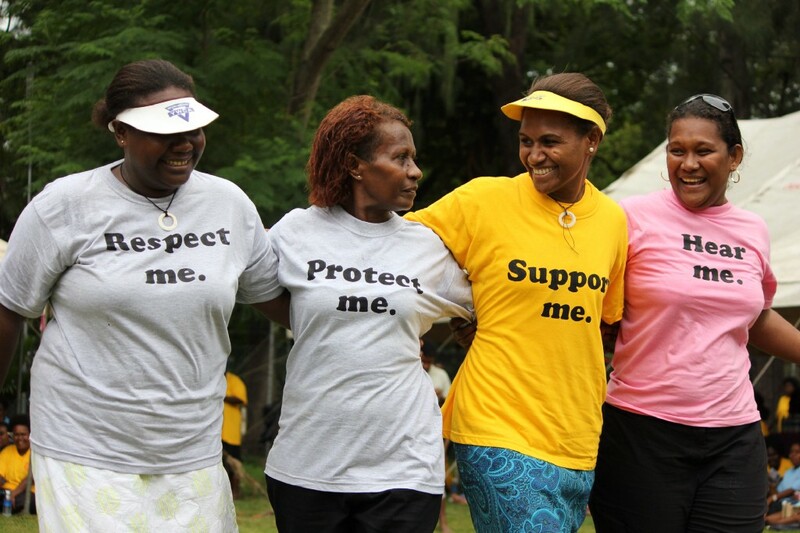 The event was captured by FemLINK, a feminist radio station serving Fiji and the region. The connection between domestic violence and investment risk is becoming clearer. The International Finance Corporation’s recent report, “Investing in Women: New Evidence for the Business Case,” highlights the relationship between domestic violence and productivity and, therefore, profitability within businesses. In the spring, Criterion Institute, collaborating with Global Fund for Women and Ms. Foundation created a strategy blueprint to provide a framework for thinking about designing approaches that intentionally use finance to achieve social change. The parallels to climate change and climate finance are illustrative. In climate finance, investors see the risks in climate change as market or external risks that could affect any or potentially all businesses. Likewise, gender patterns in society as creating market risks. The challenge in financial analysis is to find the correlations between these patterns in the environment (or in the case of domestic violence, in culture and social structures) and the current and future performance of an industry, a sector or a specific company. At the gathering in Fiji, participants explored how these patterns affect the underlying analytics in an investment, and how the design of terms or investment structure could motivate actors to engage in solutions. At a critical point in the gathering, the conversation changed. Rather than trying to address a current risk, what if we named a different future? What if we imagined (as the nonprofit Futures without Violence has been campaigning for) that we could reverse the trend? What if domestic violence decreased by half in the next 15 years? What does that future look like? What would the future of Fiji, Vanuatu or Samoa look like if there were a 50% reduction in domestic violence? How would work patterns change? How might political stability shift? If this flagrant disregard of the law were no longer tolerated, would that shift the overall tenor of rule of law in these countries? Importantly, this shift is not necessarily causal but rather a barometer or indicator of other political and economic changes. Finance is (or should be) fundamentally future oriented. Investors make bets on visions of a future whether that is a moon shot or a culture shift. How would a clear scenario of a future shift in gender patterns shape how and where to invest today? Pacific RISE will continue to support these leaders and seek to expand this pilot by developing an investment thesis for impact investors moving capital into the Pacific that incorporates these insights and other gender patterns. Next month, Criterion Institute, InFaith Community Foundation, Futures without Violence, Pacific RISE, and a participant from Pacific Islands Private Sector Organisation in Fiji will come together at Social Capital Markets 2017 for a panel discussion on Strategies for Change: Using Finance to Address Domestic Violence. The women gathered in Fiji women know, like all social activists, that achieving long-term positive change requires more than shifting a single set of analytics, or deploying capital to support a couple innovative efforts. It requires a sustained and comprehensive strategy. To find out more about these efforts, contact Amanda Jupp at Pacific Rise or Joy Anderson at Criterion Institute.